The University of Plymouth works with several partner colleges across Devon, Cornwall and Somerset to successfully deliver the Postgraduate Certificate in Education (for graduates) and the Certificate of Education (for non-graduates) teacher training awards in the further education and skills sector. These programmes have existed at the University in various iterations since 1984, beginning as a part-time programme for serving practitioners. 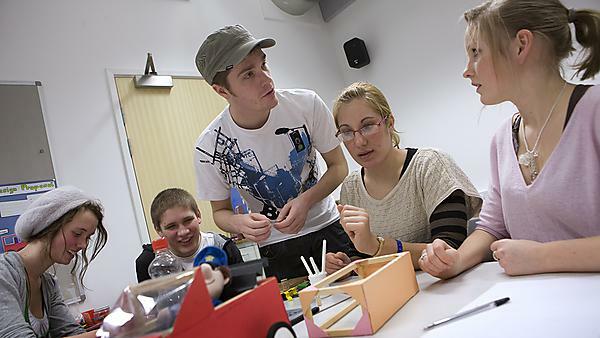 Nine years ago a full-time route was developed for pre-service teachers and in 2007 a new set of standards was developed by Lifelong Learning UK (LLUK). This programme meets the national mandatory requirements and is subject to Ofsted inspections of Initial Teacher Education. The programme requires student teachers to be placed in a partner college for two days per week throughout the programme, giving them practical experience and support they need. The University is pleased to have recently embarked on new partnerships with prisons across the South West, to offer students the opportunity to widen their experience in the role of a prison educator. Whether you are a new or potential partner, more information can be found by selecting an option from the list below. If you have any questions or would like to talk with the University further about partnerships in the further education and skills context, please do not hesitate to contact us. More information on Professional Standards and the guidance available.